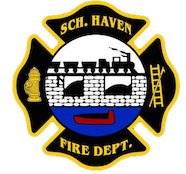 April 23, 2009- At 08:08 all 3 Schuylkill Haven stations along with District 41 (Cressona) were dispatched to 1544 Route 61 (Cressona Mall) for a possible gas leak. On Duty Chief 722 (Sattizahn) along with Chief 41-05 arrived on scene and had incoming Engine 732 and Rescue 727 canvas the area with gas monitors. After a brief investigation it was found to be sewer gas coming up from an old pipe. All units were cleared in just over a half hour.